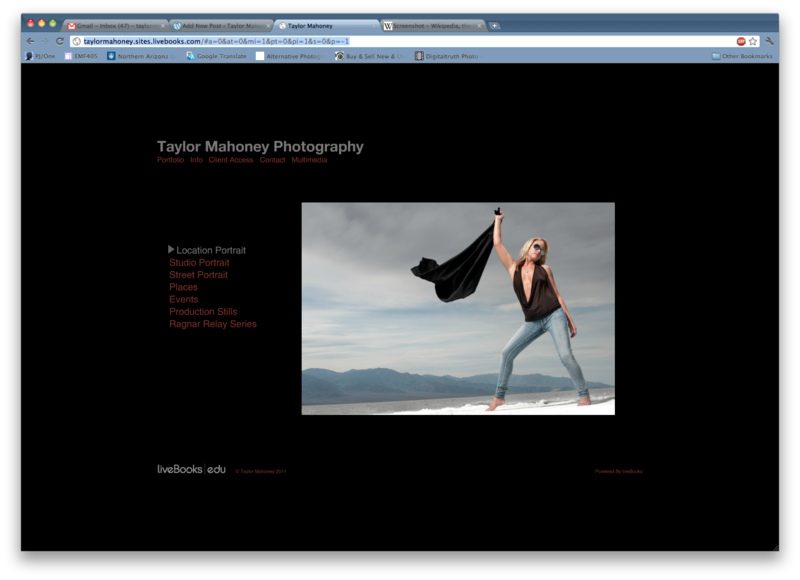 I have spent the better part of the weekend working on a long over due project, redoing my portfolios page. The portfolio page had not only gotten out of date but had major formatting errors as well. I still consider it somewhat of a work in progress but it is significantly better than before. As such I am crowd sourcing the final editing of this page which has given me major greif in the past. I want you, my loyal friends and followers, to look at the page in your browser on your monitor etc. and let me know what you think. What’s good, what’s bad, what works/how it looks on various computers, are there too many portfolios, not enough etc. Any critique will be extremely helpful. This entry was posted in blog, photography and tagged behind the scenes, photography, pic of the day. Bookmark the permalink. I have been using a camera since I was 21 & have made my leaving from photography since I was 25, that was 36 years ago and I still love looking at this talented young mans work. I find the images inspiring and am envious at the amount of work Taylor has compiled in what to me seems like a short time. I wish him all the success I can for a creative future in photography. Your portfolio looks good! I run google chrome and stuff like that doesn’t always run well on my browser, but everything worked well and looked great.